Several victims and relatives of the 239 passengers and crew aboard the Boeing 777, which flew far off course during a flight from Kuala Lumpur, Malaysia, to Beijing on March 8, 2014, live in or near Brisbane. Chester told the congregation, which included families of New Zealand victim Paul Weeks and Australians Robert and Catherine Lawton and Rodney and Mary Burrows, that searchers had tried their best to end the uncertainty surrounding the crash. He also said a memorial to the lost passengers and crew would be erected in the west coast city of Perth, which had been a base for Indian Ocean air and sea search crews. Chester said before the service that he understood the frustration that many would feel on the anniversary of the tragedy that there was no longer an active search for the crash site. Jeanette Maguire, sister of passenger Catherine Lawton, said the relatives appreciated that the Australian government had invited them to such a memorial service. “The government didn’t have to do that and it was very special that they wanted to do something to ensure our families didn’t feel forgotten,” Maguire said. Chester declined to comment on a suggestion by some relatives of raising funds to continue a private search of the ocean floor. “I’m not going to offer advice to those who want to fund-raise privately to extend the search, but from the Australians government’s perspective, the search remains suspended,” Chester told The Associated Press. In Beijing, around 20 Chinese family members of Flight 370 passengers visited the Chinese foreign ministry Wednesday to petition the government to continue the search for the missing aircraft. The Reuters news agency reports. Australia’s prime minister at the time of the tragedy, Tony Abbott, said in a newspaper interview last month that areas north and south of the searched zone should also be examined. “When you’ve got nearly 240 people missing, the greatest mystery of modern times, as long as there is any reasonable prospective place to search, you just keep searching,” Abbott told New Corp. Australia. Abbott, who remains a government lawmaker, said the most plausible scenario was that a pilot had deliberately crashed the plane. A pilot could have flown the plane farther south than the area searched, Abbott said. Abbott had not responded by Wednesday to a request for comment. 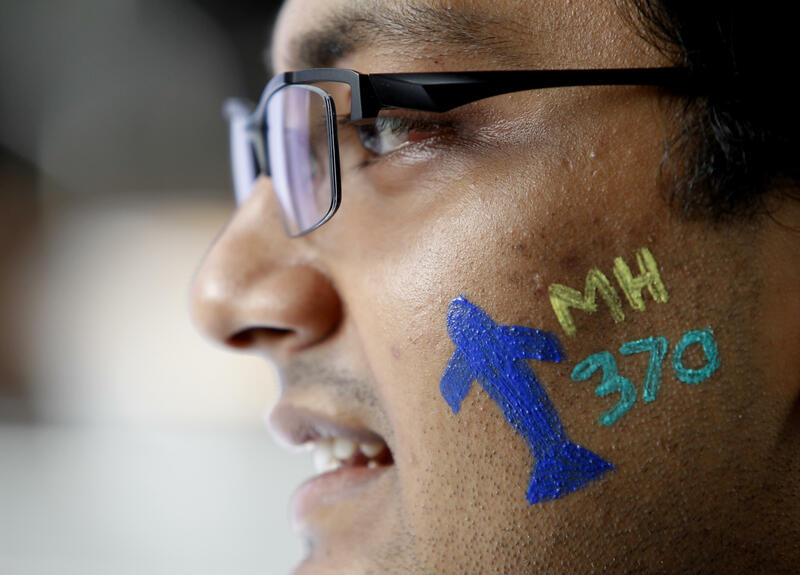 A lawsuit filed in the United States last week on behalf of the families of 44 people on board Flight 370 alleges a series of catastrophic electrical and other failures may have led to the crash. The lawsuit, filed Friday against Boeing in U.S. District Court in South Carolina, names seven malfunctions, from an electrical fire to depressurization of the plane’s cabin, that could have led to the crew losing consciousness, the plane’s transponder stopping its transmission and the plane flying undetected until it crashed after running out of fuel.